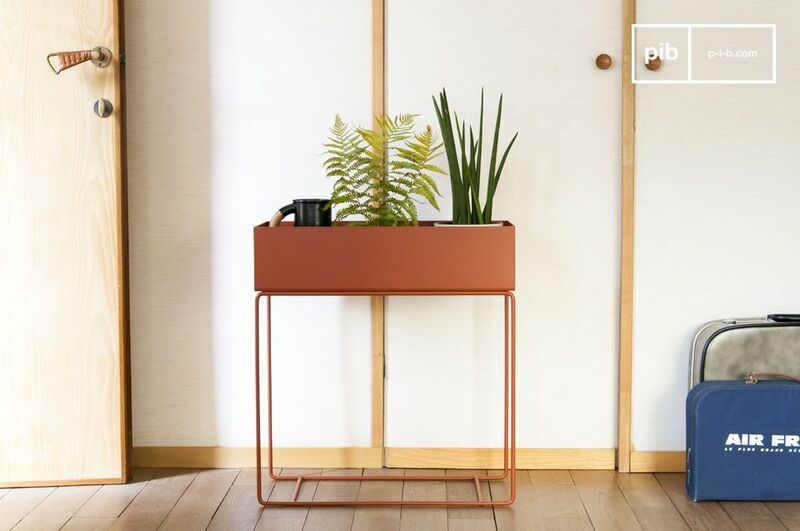 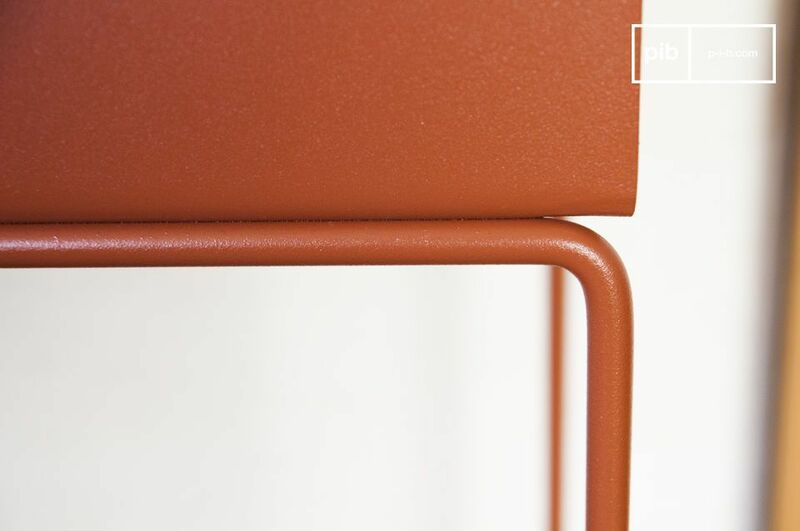 This metal planter stands out for the tan colour it possesses and the contrast between its finesse and its large structure. 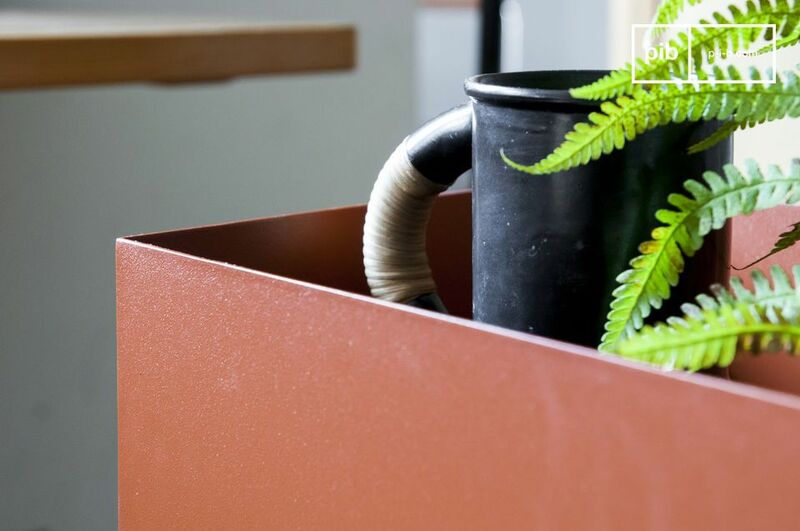 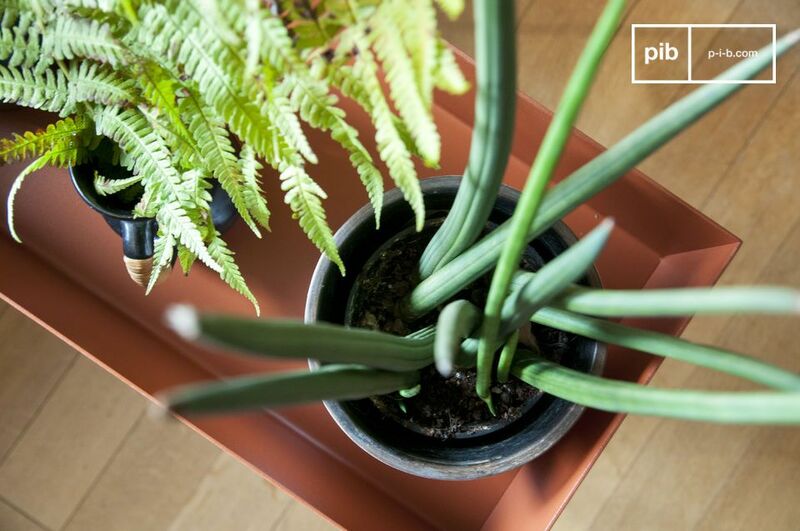 The opacity of the latter makes it possible to hide the pot and highlight the shrubbery of your plants. 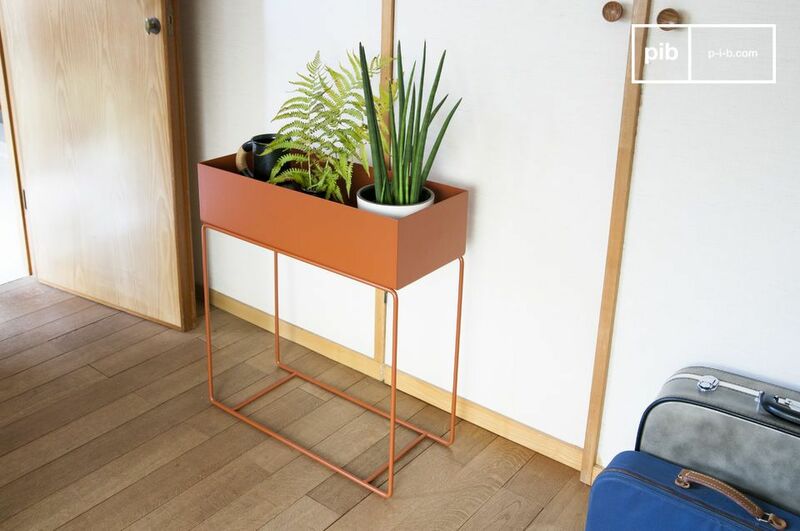 This planter plays on shapes by choosing harmonious curved lines on the lower part, while the main block uses straight angles. 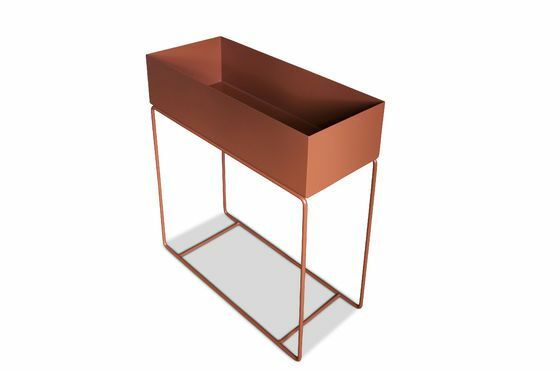 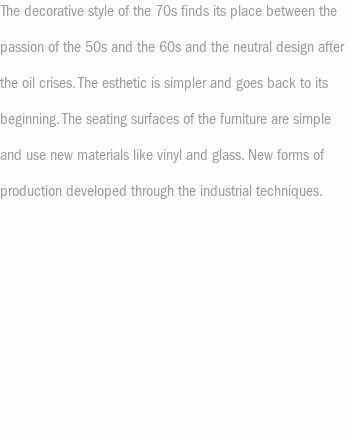 Made of 100% thick metal, this sturdy accessory can be diverted from its original function and used as a practical console table in an entrance, kitchen or bathroom. 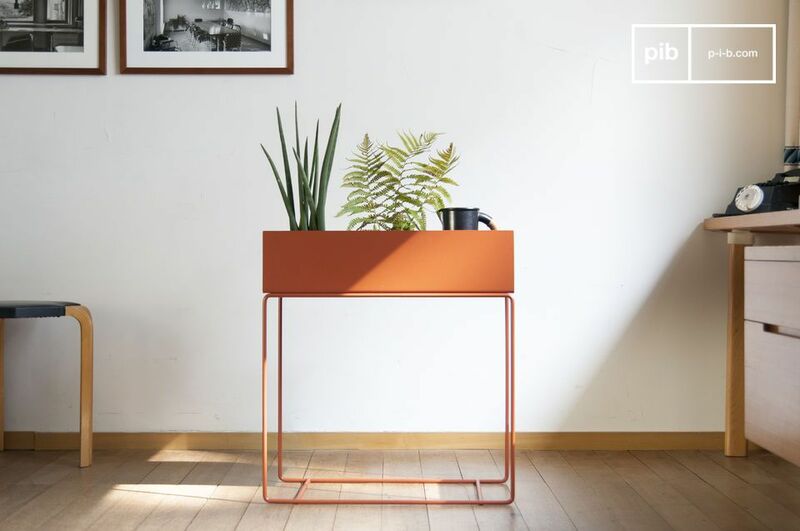 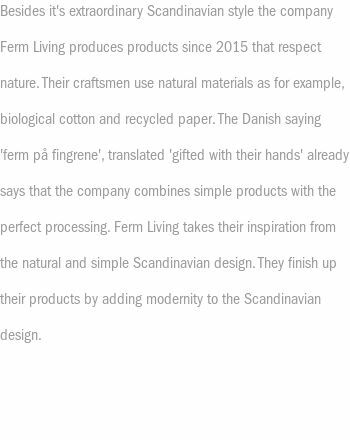 An element of decoration that will bring a touch of color to your home, whatever its style.